The Piermont Fire Department was founded in the 1930s when blacksmith Bert French converted an old Cadillac truck into the first Piermont fire engine. 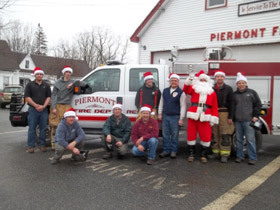 The Fire Department was organized as a group of volunteers to serve the town of Piermont for the protection and extinguishment of fire and other services needed by the town when an emergency situation happened. While it was often thought of as more of a men’s club in town with no women (this would change) in the force, there was a group of women that served as the Ladies Auxiliary who provided needed refreshment when called upon. There was no mutual aid agreements with area towns so if a neighboring town was needed to help with an in-town emergency, the Town of Piermont was sent a bill for the services received. 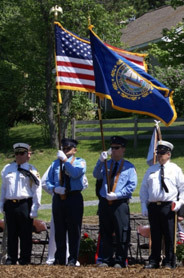 This changed when the town became a member of the Twin State Mutual Aid and Upper Valley Emergencies Association. Today, the Piermont Fire Department is still dedicated to protecting and serving our community and continues to not employ any full-time firefighters. Members are on call, compensated for only the calls to which they respond and with no payment for the long hours spent in training. Fortunately, the taxpayers have provided the department with modern and up-to-date equipment, as can be seen in the picture below. Training is important and attended either locally, at the state fire academy programs or sometimes even out of state to enable our firefighters to keep up with the changes that they constantly encounter. 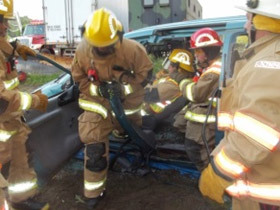 Many times this will involve training with neighboring town departments, which helps reduce the cost and promotes the ability to work together. This web page will often have meaningful information and helpful tips relating to the latest threats and situations that we and the firefighting community have come upon. Please take time to view these links and visit us often to see the latest publications. We meet the first Monday of the month and our training drills are the third Monday on the month. The department is always looking for new call firefighters and EMTs. No prior training or experience is required, just a willingness to learn and a desire to serve your community. Please contact us or show up at a meeting or training evening for details. 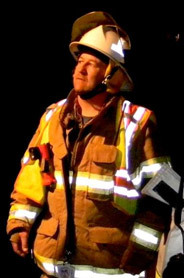 The Forest Fire Wardens work to reduce the risk and frequency of wildland fires. They are responsible for the issuance of burn permits that need to be obtained by residents prior to doing any outside burning. RSA 227-L:17 states that such a permit is required unless the ground is covered completely in snow. The burning of household waste is also prohibited by NH Department of Environmental Services. Please help stop wild fires by being observant and conscientious. 2: When there is continuous rain fall, however, the fire must be extinguished when the rain stops. A Fire Permit is still required when it is raining. Anyone needing water, it is available at the fire station at the outside faucet on side of the Fire Station.